This 12” Drawer Base Dove Grey Shaker Vanity is the perfect mix of elegance and timeless style. Its All Wood, quality construction is paired with a simplistic design that will fit all styles! And…it’s Built in the U.S.A! Don’t forget your vanity top, sink & faucet to change the look of your bathroom in one easy stop! Limited Lifetime Warranty. *Price may vary by store location. This 12″ Drawer Base Antique White Summit Vanity is the perfect mix of elegance and timeless style. Its All Wood, quality construction is paired with a simplistic design that will fit all styles! And…it’s Built in the U.S.A! Don’t forget your vanity top, sink & faucet to change the look of your bathroom in one easy stop! Limited Lifetime Warranty. *Price may vary by store location. 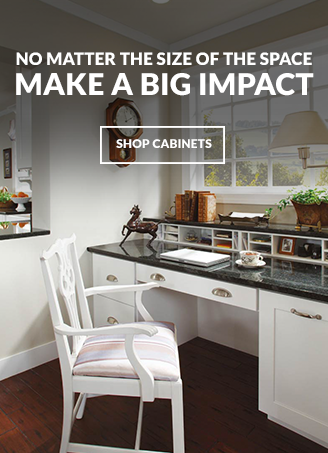 This 12″ Drawer Base Espresso Shaker Vanity is the perfect mix of elegance and timeless style. Its All Wood, quality construction is paired with a simplistic design that will fit all styles! And…it’s Built in the U.S.A! Don’t forget your vanity top, sink & faucet to change the look of your bathroom in one easy stop! Limited Lifetime Warranty. *Price may vary by store location. This 12″ Drawer Base Grey Shaker Vanity is the perfect mix of elegance and timeless style. Its All Wood, quality construction is paired with a simplistic design that will fit all styles! And…it’s Built in the U.S.A! Don’t forget your vanity top, sink & faucet to change the look of your bathroom in one easy stop! Limited Lifetime Warranty. *Price may vary by store location. This 12″ Drawer Base Saddle Summit Vanity is the perfect mix of elegance and timeless style. Its All Wood, quality construction is paired with a simplistic design that will fit all styles! And…it’s Built in the U.S.A! Don’t forget your vanity top, sink & faucet to change the look of your bathroom in one easy stop! Limited Lifetime Warranty. *Price may vary by store location. This 12″ Drawer Base White Shaker Vanity is the perfect mix of elegance and timeless style. Its All Wood, quality construction is paired with a simplistic design that will fit all styles! And…it’s Built in the U.S.A! Don’t forget your vanity top, sink & faucet to change the look of your bathroom in one easy stop! Limited Lifetime Warranty. *Price may vary by store location. This 18” Single Espresso Combo Vanity is the perfect mix of elegance and timeless style. Its All Wood, quality construction is paired with a simplistic design that will fit all styles! And…it’s Built in the U.S.A! Don’t forget your vanity top, sink & faucet to change the look of your bathroom in one easy stop! Limited Lifetime Warranty. *Price may vary by store location. This 24” Single Antique Gray Furniture Style Vanity is the perfect mix of elegance and timeless style. Its All Wood, quality construction is paired with a simplistic design that will fit all styles! And…it’s Built in the U.S.A! Don’t forget your vanity top, sink & faucet to change the look of your bathroom in one easy stop! Limited Lifetime Warranty. *Price may vary by store location. This 24” Single Antique White Furniture Style Vanity is the perfect mix of elegance and timeless style. Its All Wood, quality construction is paired with a simplistic design that will fit all styles! And…it’s Built in the U.S.A! Don’t forget your vanity top, sink & faucet to change the look of your bathroom in one easy stop! Limited Lifetime Warranty. *Price may vary by store location. This 24” Single Distressed Gray Furniture Style Vanity is the perfect mix of elegance and timeless style. Its All Wood, quality construction is paired with a simplistic design that will fit all styles! And…it’s Built in the U.S.A! Don’t forget your vanity top, sink & faucet to change the look of your bathroom in one easy stop! Limited Lifetime Warranty. *Price may vary by store location. This 24” Single Dove Grey Shaker Vanity is the perfect mix of elegance and timeless style. Its All Wood, quality construction is paired with a simplistic design that will fit all styles! And…it’s Built in the U.S.A! Don’t forget your vanity top, sink & faucet to change the look of your bathroom in one easy stop! Limited Lifetime Warranty. *Price may vary by store location. This 24” Single Espresso Combo Vanity is the perfect mix of elegance and timeless style. Its All Wood, quality construction is paired with a simplistic design that will fit all styles! And…it’s Built in the U.S.A! Don’t forget your vanity top, sink & faucet to change the look of your bathroom in one easy stop! Limited Lifetime Warranty. *Price may vary by store location. This 24” Single Harbor Blue Furniture Style Vanity is the perfect mix of elegance and timeless style. Its All Wood, quality construction is paired with a simplistic design that will fit all styles! And…it’s Built in the U.S.A! Don’t forget your vanity top, sink & faucet to change the look of your bathroom in one easy stop! Limited Lifetime Warranty. *Price may vary by store location. This 24” Single Shorewood Espresso Furniture Style Vanity is the perfect mix of elegance and timeless style. Its All Wood, quality construction is paired with a simplistic design that will fit all styles! And…it’s Built in the U.S.A! Don’t forget your vanity top, sink & faucet to change the look of your bathroom in one easy stop! Limited Lifetime Warranty. *Price may vary by store location. This 24” Single Shorewood White Furniture Style Vanity is the perfect mix of elegance and timeless style. Its All Wood, quality construction is paired with a simplistic design that will fit all styles! And…it’s Built in the U.S.A! Don’t forget your vanity top, sink & faucet to change the look of your bathroom in one easy stop! Limited Lifetime Warranty. *Price may vary by store location. This 24″ Single Antique White Summit Vanity is the perfect mix of elegance and timeless style. Its All Wood, quality construction is paired with a simplistic design that will fit all styles! And…it’s Built in the U.S.A! Don’t forget your vanity top, sink & faucet to change the look of your bathroom in one easy stop! Limited Lifetime Warranty. *Price may vary by store location. This 24″ Single Espresso Shaker Vanity is the perfect mix of elegance and timeless style. Its All Wood, quality construction is paired with a simplistic design that will fit all styles! And…it’s Built in the U.S.A! Don’t forget your vanity top, sink & faucet to change the look of your bathroom in one easy stop! Limited Lifetime Warranty. *Price may vary by store location. This 24″ Single Grey Shaker Vanity is the perfect mix of elegance and timeless style. Its All Wood, quality construction is paired with a simplistic design that will fit all styles! And…it’s Built in the U.S.A! Don’t forget your vanity top, sink & faucet to change the look of your bathroom in one easy stop! Limited Lifetime Warranty. *Price may vary by store location. This 24″ Single Saddle Summit Vanity is the perfect mix of elegance and timeless style. Its All Wood, quality construction is paired with a simplistic design that will fit all styles! And…it’s Built in the U.S.A! Don’t forget your vanity top, sink & faucet to change the look of your bathroom in one easy stop! Limited Lifetime Warranty. *Price may vary by store location. This 24″ Single White Shaker Vanity is the perfect mix of elegance and timeless style. Its All Wood, quality construction is paired with a simplistic design that will fit all styles! And…it’s Built in the U.S.A! Don’t forget your vanity top, sink & faucet to change the look of your bathroom in one easy stop! Limited Lifetime Warranty. *Price may vary by store location. This 30” 2LH Dove Grey Shaker Vanity is the perfect mix of elegance and timeless style. Its All Wood, quality construction is paired with a simplistic design that will fit all styles! And…it’s Built in the U.S.A! Don’t forget your vanity top, sink & faucet to change the look of your bathroom in one easy stop! Limited Lifetime Warranty. *Price may vary by store location. This 30” 2LH Shorewood Espresso Furniture Style Vanity is the perfect mix of elegance and timeless style. Its All Wood, quality construction is paired with a simplistic design that will fit all styles! And…it’s Built in the U.S.A! Don’t forget your vanity top, sink & faucet to change the look of your bathroom in one easy stop! Limited Lifetime Warranty. *Price may vary by store location. This 30” 2LH Shorewood White Furniture Style Vanity is the perfect mix of elegance and timeless style. Its All Wood, quality construction is paired with a simplistic design that will fit all styles! And…it’s Built in the U.S.A! Don’t forget your vanity top, sink & faucet to change the look of your bathroom in one easy stop! Limited Lifetime Warranty. *Price may vary by store location. This 30” 2RH Dove Grey Shaker Vanity is the perfect mix of elegance and timeless style. Its All Wood, quality construction is paired with a simplistic design that will fit all styles! And…it’s Built in the U.S.A! Don’t forget your vanity top, sink & faucet to change the look of your bathroom in one easy stop! Limited Lifetime Warranty. *Price may vary by store location. This 30” Single Antique Gray Furniture Style Vanity is the perfect mix of elegance and timeless style. Its All Wood, quality construction is paired with a simplistic design that will fit all styles! And…it’s Built in the U.S.A! Don’t forget your vanity top, sink & faucet to change the look of your bathroom in one easy stop! Limited Lifetime Warranty. *Price may vary by store location. This 30” Single Antique White Furniture Style Vanity is the perfect mix of elegance and timeless style. Its All Wood, quality construction is paired with a simplistic design that will fit all styles! And…it’s Built in the U.S.A! Don’t forget your vanity top, sink & faucet to change the look of your bathroom in one easy stop! Limited Lifetime Warranty. *Price may vary by store location. This 30” Single Dove Grey Shaker Vanity is the perfect mix of elegance and timeless style. Its All Wood, quality construction is paired with a simplistic design that will fit all styles! And…it’s Built in the U.S.A! Don’t forget your vanity top, sink & faucet to change the look of your bathroom in one easy stop! Limited Lifetime Warranty. *Price may vary by store location. This 30″ 2LH Antique White Summit Vanity is the perfect mix of elegance and timeless style. Its All Wood, quality construction is paired with a simplistic design that will fit all styles! And…it’s Built in the U.S.A! Don’t forget your vanity top, sink & faucet to change the look of your bathroom in one easy stop! Limited Lifetime Warranty. *Price may vary by store location. This 30″ 2LH Espresso Shaker Vanity is the perfect mix of elegance and timeless style. Its All Wood, quality construction is paired with a simplistic design that will fit all styles! And…it’s Built in the U.S.A! Don’t forget your vanity top, sink & faucet to change the look of your bathroom in one easy stop! Limited Lifetime Warranty. *Price may vary by store location. This 30″ 2LH Grey Shaker Vanity is the perfect mix of elegance and timeless style. Its All Wood, quality construction is paired with a simplistic design that will fit all styles! And…it’s Built in the U.S.A! Don’t forget your vanity top, sink & faucet to change the look of your bathroom in one easy stop! Limited Lifetime Warranty. *Price may vary by store location. This 30″ 2LH Saddle Summit Vanity is the perfect mix of elegance and timeless style. Its All Wood, quality construction is paired with a simplistic design that will fit all styles! And…it’s Built in the U.S.A! Don’t forget your vanity top, sink & faucet to change the look of your bathroom in one easy stop! Limited Lifetime Warranty. *Price may vary by store location. This 30″ 2LH White Shaker Vanity is the perfect mix of elegance and timeless style. Its All Wood, quality construction is paired with a simplistic design that will fit all styles! And…it’s Built in the U.S.A! Don’t forget your vanity top, sink & faucet to change the look of your bathroom in one easy stop! Limited Lifetime Warranty. *Price may vary by store location. This 30″ 2RH Antique White Summit Vanity is the perfect mix of elegance and timeless style. Its All Wood, quality construction is paired with a simplistic design that will fit all styles! And…it’s Built in the U.S.A! Don’t forget your vanity top, sink & faucet to change the look of your bathroom in one easy stop! Limited Lifetime Warranty. *Price may vary by store location. This 30″ 2RH Espresso Shaker Vanity is the perfect mix of elegance and timeless style. Its All Wood, quality construction is paired with a simplistic design that will fit all styles! And…it’s Built in the U.S.A! Don’t forget your vanity top, sink & faucet to change the look of your bathroom in one easy stop! Limited Lifetime Warranty. *Price may vary by store location. This 30″ 2RH Grey Shaker Vanity is the perfect mix of elegance and timeless style. Its All Wood, quality construction is paired with a simplistic design that will fit all styles! And…it’s Built in the U.S.A! Don’t forget your vanity top, sink & faucet to change the look of your bathroom in one easy stop! Limited Lifetime Warranty. *Price may vary by store location. This 30″ 2RH Saddle Summit Vanity is the perfect mix of elegance and timeless style. Its All Wood, quality construction is paired with a simplistic design that will fit all styles! And…it’s Built in the U.S.A! Don’t forget your vanity top, sink & faucet to change the look of your bathroom in one easy stop! Limited Lifetime Warranty. *Price may vary by store location. This 30″ 2RH White Shaker Vanity is the perfect mix of elegance and timeless style. Its All Wood, quality construction is paired with a simplistic design that will fit all styles! And…it’s Built in the U.S.A! Don’t forget your vanity top, sink & faucet to change the look of your bathroom in one easy stop! Limited Lifetime Warranty. *Price may vary by store location. This 30″ Single Antique White Summit Vanity is the perfect mix of elegance and timeless style. Its All Wood, quality construction is paired with a simplistic design that will fit all styles! And…it’s Built in the U.S.A! Don’t forget your vanity top, sink & faucet to change the look of your bathroom in one easy stop! Limited Lifetime Warranty. *Price may vary by store location. This 30″ Single Espresso Shaker Vanity is the perfect mix of elegance and timeless style. Its All Wood, quality construction is paired with a simplistic design that will fit all styles! And…it’s Built in the U.S.A! Don’t forget your vanity top, sink & faucet to change the look of your bathroom in one easy stop! Limited Lifetime Warranty. *Price may vary by store location. This 30″ Single Grey Shaker Vanity is the perfect mix of elegance and timeless style. Its All Wood, quality construction is paired with a simplistic design that will fit all styles! And…it’s Built in the U.S.A! Don’t forget your vanity top, sink & faucet to change the look of your bathroom in one easy stop! Limited Lifetime Warranty. *Price may vary by store location. This 30″ Single Saddle Summit Vanity is the perfect mix of elegance and timeless style. Its All Wood, quality construction is paired with a simplistic design that will fit all styles! And…it’s Built in the U.S.A! Don’t forget your vanity top, sink & faucet to change the look of your bathroom in one easy stop! Limited Lifetime Warranty. *Price may vary by store location. This 30″ Single White Shaker Vanity is the perfect mix of elegance and timeless style. Its All Wood, quality construction is paired with a simplistic design that will fit all styles! And…it’s Built in the U.S.A! Don’t forget your vanity top, sink & faucet to change the look of your bathroom in one easy stop! Limited Lifetime Warranty. *Price may vary by store location. This 36” Drawer Top Dove Grey Shaker Vanity is the perfect mix of elegance and timeless style. Its All Wood, quality construction is paired with a simplistic design that will fit all styles! And…it’s Built in the U.S.A! Don’t forget your vanity top, sink & faucet to change the look of your bathroom in one easy stop! Limited Lifetime Warranty. *Price may vary by store location. This 36” 2LH Dove Grey Shaker Vanity is the perfect mix of elegance and timeless style. Its All Wood, quality construction is paired with a simplistic design that will fit all styles! And…it’s Built in the U.S.A! Don’t forget your vanity top, sink & faucet to change the look of your bathroom in one easy stop! Limited Lifetime Warranty. *Price may vary by store location. This 36” 2LH Shorewood Espresso Furniture Style Vanity is the perfect mix of elegance and timeless style. Its All Wood, quality construction is paired with a simplistic design that will fit all styles! And…it’s Built in the U.S.A! Don’t forget your vanity top, sink & faucet to change the look of your bathroom in one easy stop! Limited Lifetime Warranty. *Price may vary by store location. This 36” 2LH Shorewood White Furniture Style Vanity is the perfect mix of elegance and timeless style. Its All Wood, quality construction is paired with a simplistic design that will fit all styles! And…it’s Built in the U.S.A! Don’t forget your vanity top, sink & faucet to change the look of your bathroom in one easy stop! Limited Lifetime Warranty. *Price may vary by store location. This 36” 2RH Dove Grey Shaker Vanity is the perfect mix of elegance and timeless style. Its All Wood, quality construction is paired with a simplistic design that will fit all styles! And…it’s Built in the U.S.A! Don’t forget your vanity top, sink & faucet to change the look of your bathroom in one easy stop! Limited Lifetime Warranty. *Price may vary by store location. This 36” Single Antique White Furniture Style Vanity is the perfect mix of elegance and timeless style. Its All Wood, quality construction is paired with a simplistic design that will fit all styles! And…it’s Built in the U.S.A! Don’t forget your vanity top, sink & faucet to change the look of your bathroom in one easy stop! Limited Lifetime Warranty. *Price may vary by store location. This 36” Single Harbor Blue Furniture Style Vanity is the perfect mix of elegance and timeless style. Its All Wood, quality construction is paired with a simplistic design that will fit all styles! And…it’s Built in the U.S.A! Don’t forget your vanity top, sink & faucet to change the look of your bathroom in one easy stop! Limited Lifetime Warranty. *Price may vary by store location. This 36″ 2LH Antique White Summit Vanity is the perfect mix of elegance and timeless style. Its All Wood, quality construction is paired with a simplistic design that will fit all styles! And…it’s Built in the U.S.A! Don’t forget your vanity top, sink & faucet to change the look of your bathroom in one easy stop! Limited Lifetime Warranty. *Price may vary by store location.